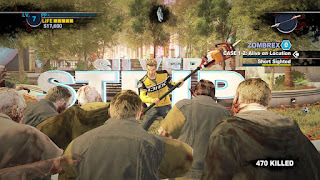 Dead Rising 2 followed the “bigger, better, more” sequel formula and built on almost everything that made the original Dead Rising such a hit with mostly success. It gave you a huge new area to play in and greatly expanded the gameplay, but stumbled a bit when it came to its version of the psychopath fights that made the original so memorable. It was, and still is, a solid all around sequel, but not quite up to the standard of the original. 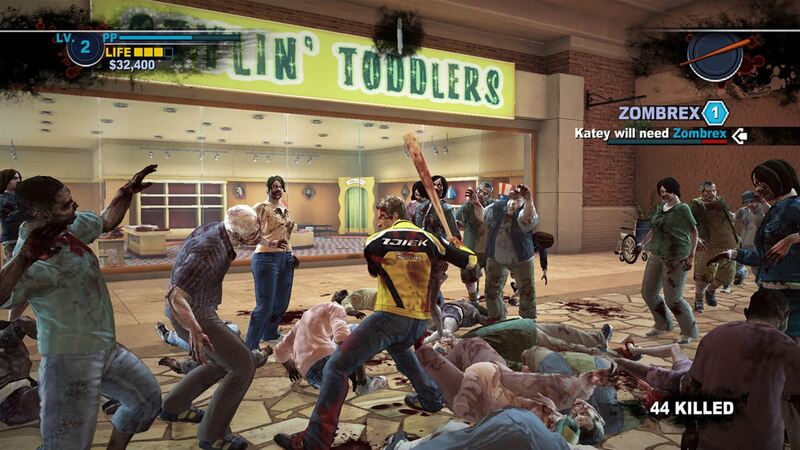 See our full impressions of the Dead Rising 2 remaster on Xbox One right here. 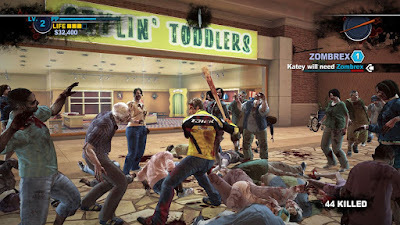 Dead Rising 2 released on Xbox 360 and, in a first for the series, on PS3 on September 24, 2010. At the time it was widely regarded, including by me in my review for About.com, as a step above the original thanks to new gameplay systems and a richer overall world. 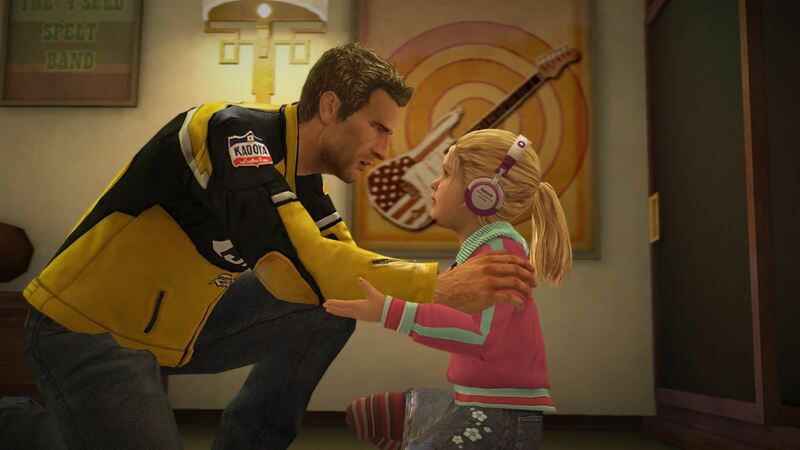 I also enjoyed the new casino / mall setting and the story featuring Chuck Greene and his adorable little daughter Katie (who is still great and one of the best kids in a videogame) was solid. Looking back on it six-years later, however, I don’t feel quite as fondly toward it largely because the psychopath aspect – regular folks who went crazy because of the zombie outbreak – weren’t nearly as interesting in Dead Rising 2 as they were in Dead Rising 1. A larger problem is that the psychopaths were just plain not fun to fight in Dead Rising 2 as these boss fights are very poorly balanced for the gameplay. The bosses can move faster and attack in ways that the gameplay seemingly can’t keep up with, which makes them incredibly tiring and not fun to play against. Honestly, the boss fights just plain aren’t fair here and really make the game no fun to play. It is a shame, too, because outside of the boss fights Dead Rising 2 is fantastic. The game takes place in a casino / mall hybrid so there are tons of crazy items to find and use as weapons as you fight against the zombie hordes. It also introduced the combo weapons that have since become a staple of the series, and these combo weapons – like combining gems with a flashlight to make a laser sword or attaching chainsaws to a kayak paddle to make a super paddle of chainsaw destruction – are incredibly imaginative and a ton of fun to use. There is little question that from a purely zombie slaying perspective, Dead Rising 2 was an improvement over Dead Rising 1. It gives you more toys to play with and significantly more zombies onscreen at once, and sets you loose and lets you have fun. The problem comes from the fact that story and overall game progression is gated behind the aforementioned awful boss fights, which sap the fun out of the experience disappointingly quickly. Unlike Dead Rising 1, DR 2 had multiple save slots from the start so they didn’t need to be added for the remaster. As such, the remastered version of Dead Rising 2 doesn’t really have anything new or different over the original Xbox 360 release. It obviously features some visual enhancements – most notably in the large outdoor areas where you can see hundreds upon hundreds of zombies all onscreen at once – at a solid 60FPS. It is also worth noting that the Xbox Live co-op feature is present and accounted for and works just like it did last gen. Unfortunately, the XBLA side mission games for Dead Rising 2, Case Zero and Case West, are not included in this package. 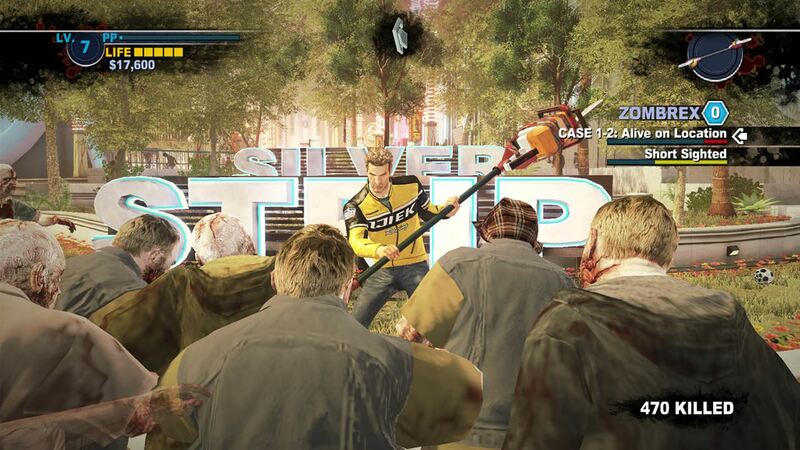 See our reviews of the Dead Rising 1 and Dead Rising 2: Off the Record remasters! While the remaster of Dead Rising 1 for current-gen makes some somewhat big additions (mostly save slots), this new release of Dead Rising 2 on Xbox One doesn’t make any significant changes or improvements. It is just a smoother playing, cleaner looking of the same experience as the original release. I personally don’t think it is as good as the first Dead Rising, nor is it better than its alternate universe “same game, but with Frank West instead” brother Dead Rising 2: Off the Record (see my review of that game for why), but it is the “real” Dead Rising 2 as far as the story goes so it is worth a look for that reason alone. It isn’t a bad game, and the remaster is solid all around, but I’d skip it in favor of the other two Dead Rising remaster releases instead of vanilla Dead Rising 2.